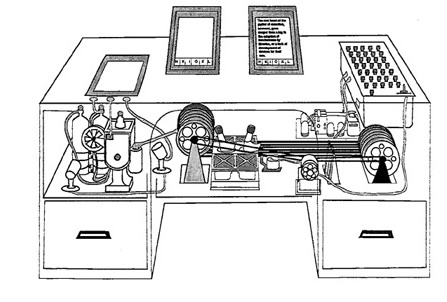 Bush envisioned a futuristic machine (see image below) which he called the Memex — a portmanteau of “memory” and “index” — that would be capable of storing and indexing all human records, including books and communications. Built on the power of association of ideas, the Memex could be “consulted with exceeding speed and flexibility,” thus providing “an enlarged intimate supplement” to one’s own memory. This vision and other ideas in the article directly influenced future generations of computer and information scientists. Among those inspired by Bush were pioneers like JCR Licklider, Douglas Engelbart, Ted Nelson and Tim Berners-Lee. Licklider foresaw the potential of interactive computing and planted the seeds for the graphical user interface and the Internet. Engelbart invented the computer mouse and developed networked computers which he demonstrated at The Mother of All Demos in 1968. Nelson coined the terms “hypertext” and “hypermedia,” while Berners-Lee developed the hypertext transfer protocol (HTTP) and is recognized as the inventor of the World Wide Web. As described in an earlier blog, Eugene Garfield was an information scientist who introduced the citation index, a metric that was based on the association of ideas: a research publication was judged to be of influence if it was cited by authors of papers in scholarly journals, and the greater the number of citations, the greater the influence. Garfield’s citation index, developed in the mid-1950s, formed the basis for PageRank, developed in the mid-1990s by Larry Page and Sergey Brin as the core algorithm for their Google search engine. 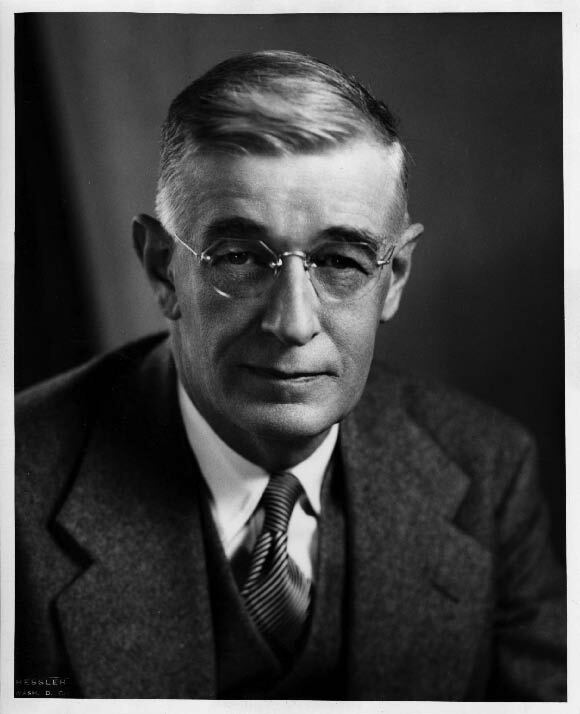 Vannevar Bush anticipated that “wholly new forms of encyclopedias” would appear, ready to be “dropped into the Memex and there amplified.” He predicted, “The physician, puzzled by a patient’s reactions, runs rapidly through analogous case histories, with side references to the classics for pertinent anatomy and histology.” As we may think.